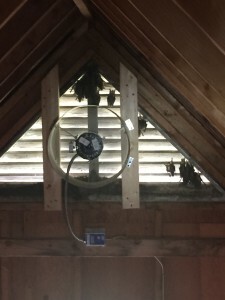 Bats in attic is a common service call that Hayman Wildlife Management receives from customers in Stevensville, Benton Harbor, St. Joseph, and the surrounding areas. There are many problems that can come from having bats infest your home or attic. 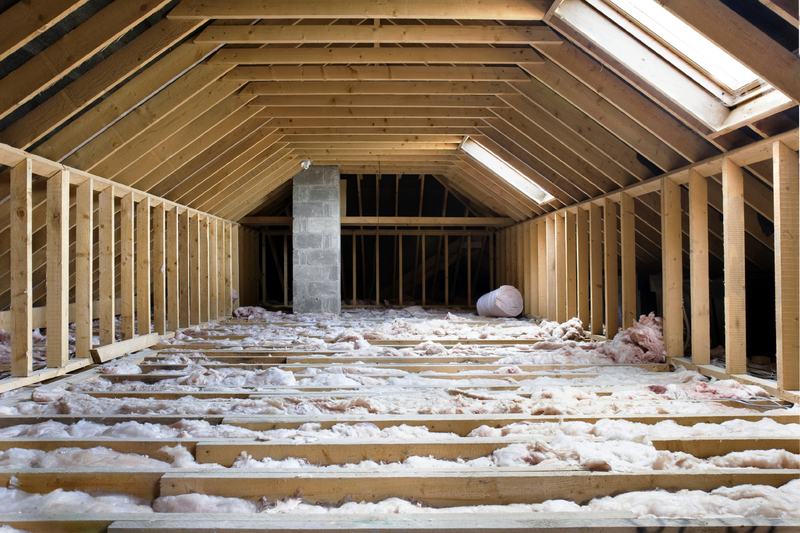 Among the top problems associated with bats entering your house is sickness, collapsing of ceilings/foundation, and loss of insulation throughout your home. Bats carry spores for histoplasmosis, which is a fungus that can cause respiratory problems. This can become severely problematic in cases dealing with the elderly, those with immunity disorders, and the very young. If you have bats in your attic, the bat droppings (or bat guano) can seep into your insulation or dry wall where the spores can contaminate the living areas of your house. Symptoms are fever, chest pain, dry cough, headaches, encephalopathy, and in rare cases death. It is very important to rid your attic of bat guano by a professional bat removal and repair company to stop any health problems the bats may lead to. Special equipment should be used when dealing with bats to ensure the excrement is handled the correct way to keep the structural integrity of your home or business. 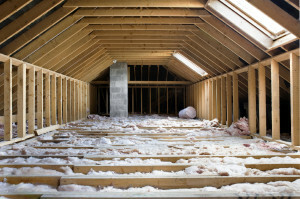 Bat droppings can severely damage the insulation, wood, sheet rock, or particle board of your ceiling or attic causing the structure to collapse. This can lead to very expensive repairs. If a Bat Removal company comes to handle the situation and is not equipped with the proper tools and protection nor are they licensed, it is highly recommended that you hire someone that knows how to correctly get rid of Bats and Bat waste. Hayman Wildlife Management is equipped and fully licensed to handle Bat Removal and Repairs throughout Southwestern Michigan. Call 269-588-0176 to schedule an inspection!